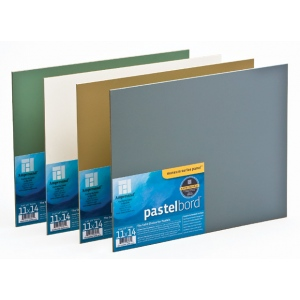 * Pastelbord is a clay and gesso coated hardboard panel with a granular marble dust finish comparable to a sanded pastel paper except more durable and more versatile. * It can be used with wet or dry traditional pastel techniques or with acrylics, and more! * The coating is pH neutral and non-yellowing, making it a truly permanent museum quality surface.